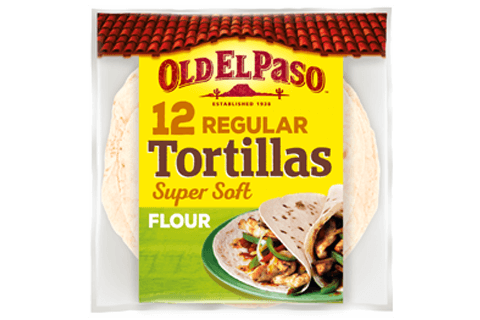 These Vietnamese inspired tortillas are quick and easy to make. The fresh taste of the coleslaw pairs beautifully with the caramelized pork and creamy spiced mayonnaise. 1. Mix the coleslaw ingredients together in a medium bowl and leave to marinade for 1 hour. Drain. 2. Season the pork slices with salt and pepper. Heat the oil in a large frying pan, over a medium/high heat, and cook the pork for 7 to 8 minutes, until caramelized. Add in the Sriracha sauce, honey and vinegar and cook for 5 minutes, until the sauce has caramelized on the outside of the pork. 3. Mix the Sriracha and mayonnaise together in a small bowl. 4. 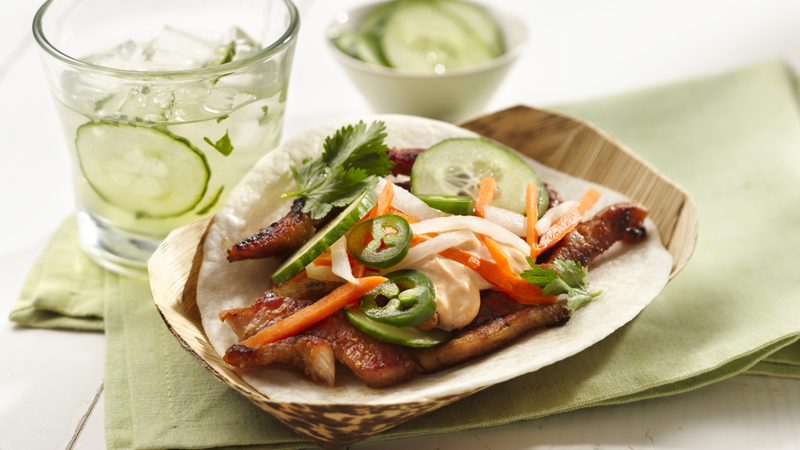 Divide the pork between the tortillas, top with the drained coleslaw, mayonnaise, chillies, coriander and cucumber. Pack in another punch of flavour with a drizzle of hoisin sauce. If you can’t get hold of daikon you can use regular radish, thinly sliced.